If your current Confined Space ticket is about to expire, Confined Space Refresher Training Course will extend your Confined Space Certificate for up to two more years. 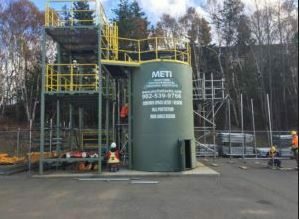 METI’s Confined Space Refresher Training delivers instruction and training on confined space entry and monitoring for those who hold a current Confined Space certification. As you learned in Confined Space Training, many work sites, whether within processing, manufacturing, construction or oil and gas, require working in an enclosed or partially enclosed space that was not designed for prolonged human occupancy, has limited entrance or egress and/or contains hazards that occur because of its construction, location or contents or because of the work performed in it; confined spaces. Confined spaces can pose many hazards. Toxic gases, lower explosive limits, or physical hazards may exist in the confined space. Refresh your knowledge of the industry standards to confined space entry, including atmospheric testing, permitting and monitoring. Your Confined Space Refresher Ticket is provided on completion of this course. Whether you are looking for a Confined Space Refresher Ticket, a Confined Space Refresher Certificate or completion of a Confined Space Refresher course, this is the correct course. Upon completion of this Confined Space Refresher program, you will receive a wallet-size Confined Space Refresher Ticket or Confined Space Refresher Certificate (call it what you will), that will show prospective employers that you have the credentials. Prospective employers may require confirmation of your Confined Space Refresher Certificate. We keep your records on file permanently. Feel free to have your prospective employer contact M.E.T.I. to confirm your Confined Space Refresher Certificate. Group Pricing for your Confined Space Refresher Course is available. Please contact us at (902) 539-9766, or send us an email at training@metiatlantic.com for more information. 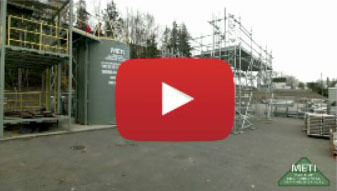 Click here to view more of METI’s Safety Training, Courses & Services. Current certification in Confined Space.